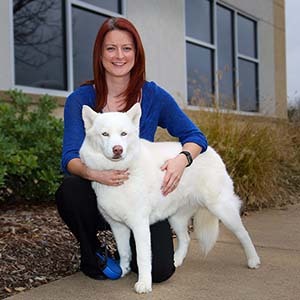 The Veterinary Technology Program at the Blinn College District is a two-year program designed to prepare students to become fully-credentialed licensed veterinary technicians (LVT). Through a collaborative partnership with Texas A&M's College of Veterinary Medicine & Biomedical Sciences, students in the Veterinary Technology Program receive hands-on training in every aspect of the wide-ranging animal health field. While most LVTs are employed in private veterinary practices, other employment opportunities include animal shelters, stables, reproductive facilities, zoos, wildlife facilities, pharmaceutical sales, the military, and homeland security. In addition to promoting animal health, LVTs may contribute to human health through biomedical research in laboratories where they assist veterinarians and other scientists in fields such as gene therapy, cancer research, and cloning. The Blinn College District Associate Degree Veterinary Technology Program is nationally accredited by the American Veterinary Medical Association (1931 N. Meacham Road, Suite 100 Schaumburg, IL 60173; 800-248-2862; www.avma.org). Blinn is accredited by the Texas Higher Education Coordinating Board and the Southern Association of Colleges and Schools. For prospective students who may have a criminal background, please be advised that a criminal background could keep you from being licensed by the Texas Board of Veterinary Medical Examiners (TBVME). If you have a question about your background and licensure, please speak with the Program Director at 979-2099-7519. To request a criminal history evaluation letter from the TBVME, click here.